The Real Sociedad Española de Química has awarded Paul Knochel the 2018 Hispano-Alemán Elhuyar-Goldschmidt prize. Professor Gary Molander and Professor Paul Knochel have won the 2015 American Publishers PROSE Award for a Multivolume Reference/Science publication, as Editors in Chief of Comprehensive Organic Synthesis. Announced at the Professional and Scholarly Publishing Conference in Washington, DC, the awards are for books and journals that change how we understand the world around us, and benefit our society through the sharing of knowledge. The Paul Karrer gold medal 2015 has been awarded to Paul Knochel. The Karrer medal is an international award that recognizes great achivements in science centered on organic chemistry. This awards shows the central place of organic chemistry thriving in the areas of medical science, materials eingineering, and molecular synthesis. Morozova V.; Skotnitzki J.; Moriya K.; Karaghiosoff K.; Knochel P. Angew. Chem. Int. Ed. 2018, DOI: 10.1002/anie.201800792. 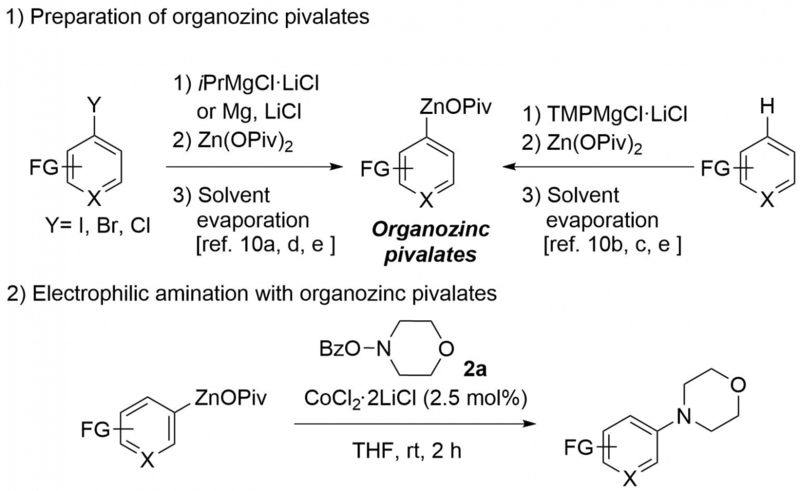 Chen, Y.-H.; Grassl, S.; Knochel, P. Angew. Chem. Int. Ed. 2018, 57, 1108-1111. Hammann, J. M.; Lutter, F. H.; Haas, D.; Knochel, P. Angew. Chem. Int. Ed. 2017, 56, 1082-1086. Benischke, A. D.; Le Corre, G.; Knochel, P. Chem. Eur. J. 2017, 23, 778-782. Castello-Mico, A.; Herbert, S. A.; Leon, T.; Bein, T.; Knochel, P. Angew. Chem. Int. Ed. 2016, 55, 401-404. Haas, D.; Hammann, J. M.; Lutter, F. H.; Knochel, P. Angew. Chem. Int. Ed. 2016, 55, 3809-3812. Shen, Z.-L.; Dhayalan, V.; Benischke, A. D.; Greiner, R.; Karaghiosoff, K.; Mayer, P.; Knochel, P. Angew. Chem. Int. Ed. 2016, 55, 5332-5336.